Hello Medelita family! My name is Vania Manipod (aka Freud & Fashion) and I’m an outpatient psychiatrist currently practicing in the southern California area. My style of practice is one that is holistic and incorporates psychotherapeutic techniques, addresses lifestyle, in addition to medication management. I am active on social media with the goal to break the stigma of mental health and am also an invited speaker discussing various mental health topics. follow me on instagram! | check out my blog! As an outpatient psychiatrist working in private practice, I don’t have as many restrictions on my wardrobe (such as having to wear closed toe shoes or worrying about bodily fluids splattering on my outfit), so I love that I’m free to be as dressy or as business casual as I wish. Growing up in southern California, I felt the pressure to constantly keep up with the latest trends, yet struggled even more to find my own personal style when it came to dressing professional. 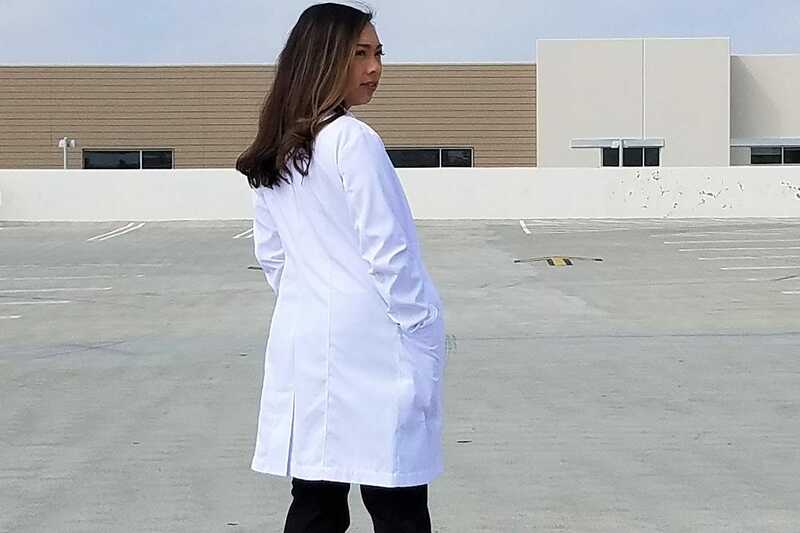 Once I graduated medical school and became a physician, I questioned how I was ‘supposed’ to dress because my identity for many years was being a student. 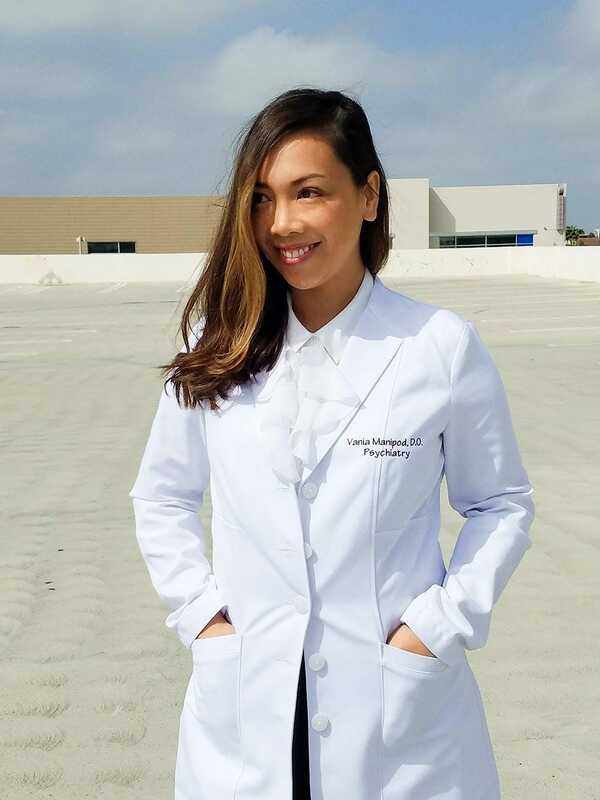 Going through the transition from student to doctor brought up many questions on whether or not as professionals we need to maintain conformity and uniformity versus deviating from the traditional slacks, clogs, and button-up shirt. Over time, our professional style evolves. 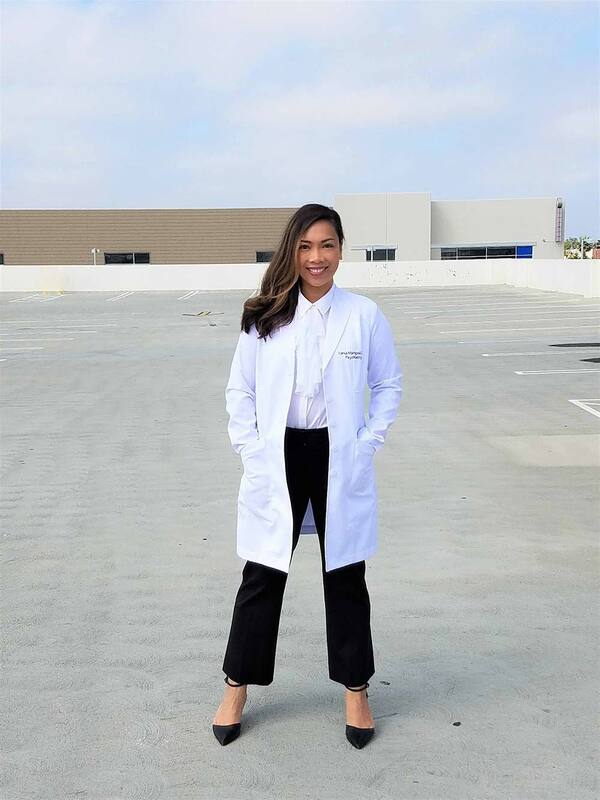 As a woman in medicine, I struggled a bit with being comfortable incorporating my femininity and personality into my style, which came easier as I gained confidence in my personal identity and career as a physician. I am often criticized for looking too young to be a doctor, therefore a lot of my style choices (when I first graduated) focused on buying pieces that made me appear older (ie, lots of black clothing). However, once I felt even more confident in my skills as a psychiatrist, I cared less about how young I looked and started buying pieces that I loved and felt comfortable enough to wear throughout a day in the office. I also love wearing heels and ditched the clogs once I started doing outpatient psychiatry in residency. Depending on my mood, I like that I’m able to switch up my outfits from long dresses, flowy skirts, to slacks and the occasional khakis. Comfort and a modern, feminine take on traditional business attire tends to be my go-to style for work, so I paired my Medelita Vera G. Slim Fit white coat with a pair of cropped black dress pants, black pointed toe heels, and a white ruffle-collar button-up top. I love wearing necklaces, but kept accessories minimal since the ruffle-collar top already accents the neckline. For my fellow petite women -- heels are a wardrobe staple! I only wear ones that are comfortable enough to walk around in all day and the preferred style of heel varies among individuals. Since I wear slacks pretty often, I prefer a thinner heel to compliment dress pants, but get adequate ankle support with the ankle strap so it feels sturdy enough to walk in all day. For those who wear white coats on a regular basis, try wearing a top that makes a statement and adds drama to the neckline such as ruffle-collars or ribbon tops.